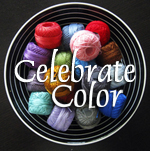 Have you seen Celebrate Color, being hosted by StitchedInColor? It's a celebration of the beautiful, rich colors surrounding us in the fall. 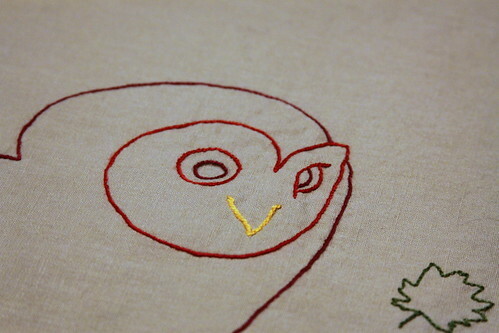 For my entry, I decided to embroider a table runner for the Needlework category. 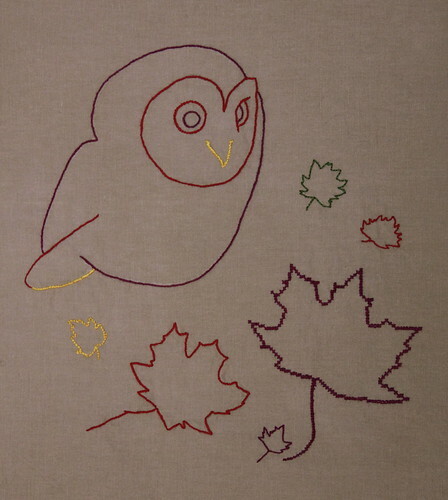 This is my first time doing a big embroidery like this, and the design is my own. I used a mix of backstitch, stem stich, and cross stitch. I decided to go with a very traditional fall color palette, using red, burgundy, gold, and a touch of pine green. I used linen in natural for my base fabric. For some reason, this shade of linen just screams fall to me. It has a lovely rich color and texture. Be sure to go over to celebrate color and check out all the other wonderful fall projects! 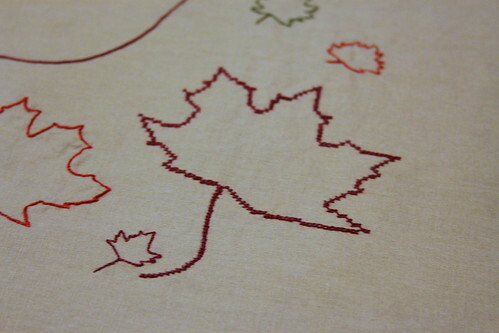 I also love the cross-stitch leaf, and the detail in the little tiny leaf! very "fall!" I have always disliked cross-stitch, but now I'm really drawn to it - it looks so graphic. Your leaf is very cool!